A high-gain antenna can boost the radio signal that your router puts out enough to overcome some dead zones. If your router has external antennas that unscrew from the housing, you can simply remove the stock antennas and screw in a high-gain antenna. You should discover the gain (measured in units of “dBi”) of your stock antenna and seek a replacement that provides at least an additional 6 dBi in order to see a significant performance difference. For example, the Alfa 9dBi WiFi Booster SMA OMNI-Directional High-Gain Screw-On Swivel Antenna sold at Amazon for $9.99 could replace a stock antenna whose gain is 3 or less. Another dead zone solution is to boost the gain of client devices: desktop and laptop computers, and tablets. These devices usually have at least one USB port into which you can plug an external WiFi adapter with a high-gain antenna. Such an adapter can be bought on eBay for less than $15; just search for “wifi adapter 1000mw” to find many options. These no-name adapters can boost your roaming range up to half a mile from your wireless router! If you need even more range, consider the $30 Card King KW-3016N Long Range Indoor Outdoor USB Wifi Wireless Adapter with 20dBi High Gain Antenna and 33ft Cable. A wireless repeater is another solution for WiFi dead zones. 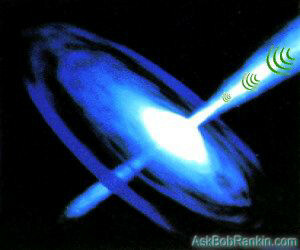 A repeater receives a WiFi signal from one device (router or computer), amplifies the signal back to its original strength, and then repeats it. Place a wireless repeater halfway between your router and computer to increase signal strength and range. The $33 NETGEAR N300 Wi-Fi Range Extender, Essentials Edition (EX2700) is a plug-and-play wireless repeater that gets good reviews for effectiveness and ease-of-use. Other wireless repeater makers include Linksys, Hawking Hi-Gain, ViewSonic, D-Link, and Buffalo Technology. A wireless access point (WAP) is one more solution for WiFi dead zones. A WAP looks very much like a wireless router – in fact, every wireless router contains a WAP. A WAP enables WiFi devices to connect to a wired network. Place a WAP in a dead zone, wire it to the wireless router, and presto! You have WiFi in the dead zone. Check out this TP-LINK TL-WA901ND Wireless N300 3T3R Access Point, with three receiving and three transmitting antennas, for an example under $40. If you have one sitting in a drawer, an old or unused wireless router can be configured to operate as a WAP. It just takes a bit of fiddling with the router’s configuration settings, as described in this tutorial. Most recent comments on "[WIFI] Stuck in a Dead Zone?" As you said, wireless repeaters/access points are the easiest, especially if you don't already have Ethernet wiring. But if you already have Ethernet wiring, then using a router as an access point is actually better and sometimes can cost less. I got Linksys EA6200 routers from Amazon for about $40. I have 4 of them. One is the master (connected to the cable modem) and provides DHCP. The others are just configured as access points and a guest network. You may use as many of these access points as you need, and these can be configured so that going from one AP to the next is seamless transfer... from the "A" store they are reasonably priced as well. My internet source is my Android tablet and I had been connecting to my recently installed PCLinuxOS but after fiddling with some settings for my wireless printer I found I could no longer connect to my tablet WI-fi hotspot. I thought my world had come to an end until I discovered that I could tether by usb. Now that's all I use. It sounds like a USB 20dBi high gain antenna like you mentioned, would solve our issue. If we can get a strong enough signal into one of our computers, then it's just a matter of sharing the connection by linking up the second one, with an Ethernet crossover cable. Tanx again for the great advice! I ran into this problem a few months ago down in my basement. I ended up solving it by re-purposing one of my extra Linksys routers that I was no longer using. Solved my problem and now I have a great signal in my basement. That's a nice guide that Bob pointed out and I wish I would have had it when I was setting up the old router, it would have made it a bit easier. Yesterday we took delivery on that USB 20 dBi high gain antenna that you mentioned and it's already made a difference here at home. Am sure it will also help a lot when traveling. You pointed us in the right direction (again) for a another quick and relatively inexpensive solution. I've passed your newsletter on to various friends, neighbors and relatives. Hopefully you'll get some additional readers. Thanks much. We took that USB 20 dBi high gain antenna recommended in your article, with us while traveling. It has consistently provided strong signals where there were previously only weak or marginally usable ones and several choices in areas where we couldn't get any at all in the past. Sure wish we'd known about this little gem before now. Many tanx!